Traditions and styles change dramatically over the years and so does mehendi trends during weddings. From defining a contemporary bride, to adding glamour to her looks and standing true to traditions; henna art is doing it all. And why not? Henna art is not just an adornment, but a great personal style that is translated on the brides’ hands. 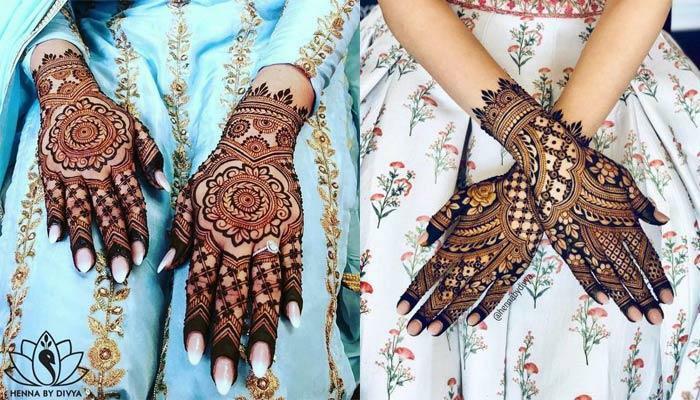 So, with the wedding season on, let’s have a look at a few mehendi patterns which can serve as a great inspiration for brides, who wish to focus more on the backside of the palms. You can make your mehendi ceremony more entrapping and memorable with the jaal design. The canvas of design is hatke and fits well for the taste of an urban and edgy bride. Also, if you love to experiment; the mesh pattern is a big draw this season. No wonder there is a lot to play around with, but the brides who have a fetish for the conventional doesn’t look beyond. The classic and older version of mehendi is what catches their fancy. Well, for the occasion as rich as a wedding, the traditional patterns seems perfect and impressive too. The fingers decorated with henna in a spectacular way make your hands look more beautiful and feminine. So, bring the right grace by embellishing your fingers in an individual manner. You can have simple flowers, dots, creepers and symmetrical patterns crafted on your hands. Every henna pattern tells its own story and so does the blooming flowers. Flowers are intricate and romantic and symbolise the celebration of love. So, have the tiny blooms, leaves and creepers as your theme and add a floral flavour to your special day. Of all the bridal mehendi patterns; haathphool has to be our favourite. It’s sombre, classic and yet striking to make a style statement. The big flower, chakra or rings worn on the back of your hands will appear like a perfect fashion motif. We all know that there is no dearth of the designs when it comes to applying henna on the hands. But there is something mesmerising about having your hands completely coloured with multiple motifs and beautiful patterns. The detailed, rich and complex styles always top the chart. That is exactly what the design is- fusion. If you want it extraordinary yet traditional, you must go for a blend of different styles and themes and flaunt your culture as well as modernity. Just give your girlies a glimpse of it and it will drive them nuts for sure. How about enhancing your hands with your own taste and persona? Be it a mermaid, a woman, a fairy or your groom’s face; make your mehendi an expression of who you are and what you want. White mehendi style is a big hit and in trend for quite some time now. It’s feminine, flirty and offers a regal air to the brides. Young women are going crazy about this new wave in henna. It’s masterful, spectacular and pure magic for the brides to flaunt on their Big Day. There are brides who don’t want a heavy art on the back of the palms. They can go for simple and non-fussy patterns and can cut down on much of themes and designs. This way they can have both fun and freedom. To flaunt the latest in the fashion circuit; all you need is to highlight a bird or animal figure as a henna pattern. You can fly high with the peacock and swan motifs. You may also have your walk down the wild side with an elephant outline. They are catchy, trendy and give an amazing effect. The dense and decorative outlines of mehendi on the hands look ethnic yet hep. Also, those who are extra-worried about the colour on the back side of the hands (mehendi is lighter on the back) can opt for thick borders and fillings. 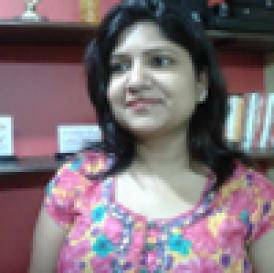 The beaded strands always take your fashion quotient up. And the same is applicable to the henna art too. We are talking about the dainty dots which look simple, cute yet feminine. So, wrap your hands with captivating strands of henna. You can have the gorgeous chains to encircle your hand twice or thrice for the band effect. Backside mehendi is a favourite for many because it stands prominent and is easily visible. So, for those who want to focus more on the opposite side can have some inspiration from these henna patterns. You can always add your own style and twist to the suggested patterns and rock it up for your occasion.